When/Where do we meet? We meet once a month, sometimes at beer/homebrew-friendly bar/restaurants, and sometimes at member’s homes. We generally meet in the evening on the Tuesday of the 3rd full week of the month, although there are always exceptions. Our club calendar and the emails announcing the meetings will give more specific information. Bring some homebrew or craft beer to share if you have it. Label your beer (not the cap) with style/name and YOUR name. Please do this at home – we always have some spares, but it’s better if you come prepared. List your beers on your name tag. Put your beers in the designated bins with styles and log sheet, put your beer in the appropriate bin and add it to the log. Take small pours, especially if it’s good. Everyone else deserves a taste too. Walking around the meeting with your bottle and offering pours is a good way to meet other members and get feedback on your beer. Be honest, but be kind. Constructive feedback is always appreciated. How can I post on the website? For obvious reasons, we can’t open the website to allow anyone to post. However, if you have a one-time post you’d like to get added, please send it to Outreach@DCHomebrewers.com. 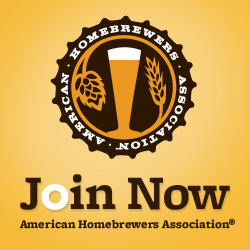 If you would like to become a regular contributor, please send an email to Leadership@DCHomebrewers.com outlining your ideas. There’s an event coming up that I think would be perfect for DCHomebrewers to get involved in. What should I do? You can contact Outreach@DCHomebrewers.com, and that committee will work with you and the other committees/leadership to determine whether it’s a good fit for the club, and what our participation should be. Since we are a non-profit, there are certain activities that we are prohibited from engaging in. Under no circumstances should anyone portray themselves as an official representative of the club without the club leadership’s prior approval! Was unable to sign up for the email list. Been homebrewing for about a year in the ARlington area. Hi Drew, I have invited you to the group. Hope that works. Come to the meeting and learn.